4 Design Days is an evevt dedicated to architecture, design and real estate. For four days, icons of world and Polish design, the largest architects and designers, producers and service companies as well as developers will discuss what inspires and creates world trends in architecture and design. 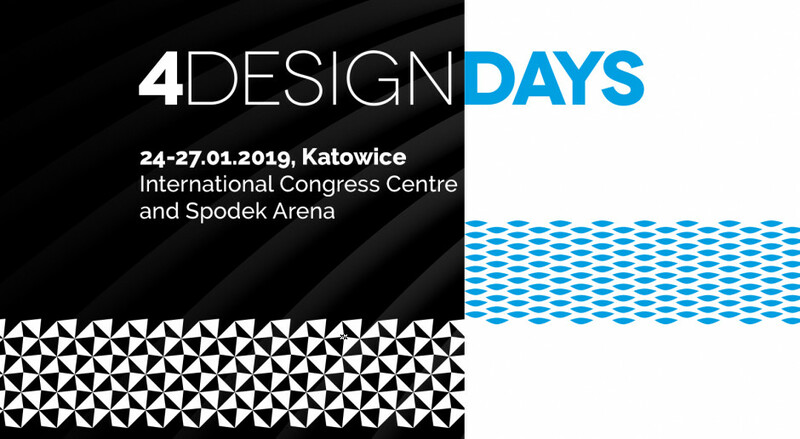 The oncoming edition of the 4 Design Days will take place on 24-27 January 2019. 4 Design Days from the first edition are organized in a proven formula of two days for professionals and two open days for enthusiasts of architecture and design. In 2019, as in the last edition, the event will be held simultaneously in the International Congress Center and Spodek Arena in Katowice. Over 300 exhibitors participated in the last edition of 4 Design Days, and the event was visited by 9,000 business guests and about 25,000 visitors on open days.